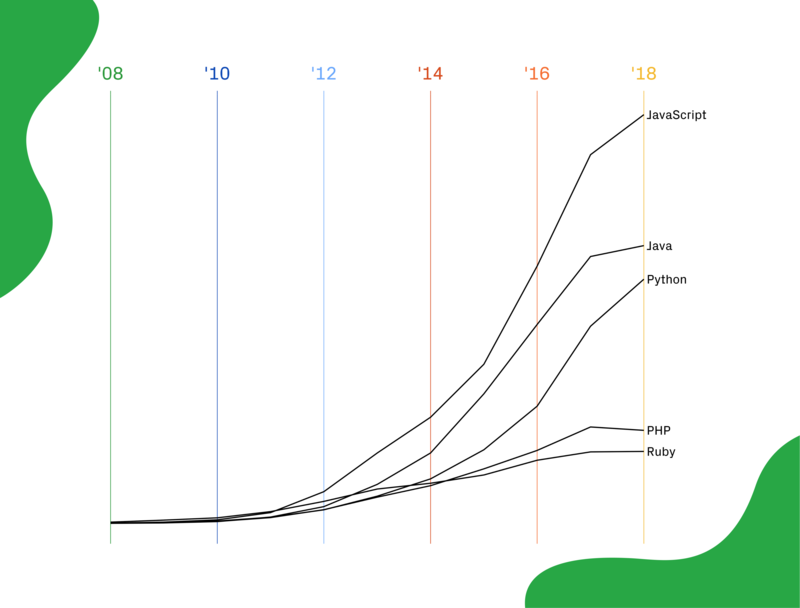 PowerShell, used in many projects owned by larger companies, is climbing our list. 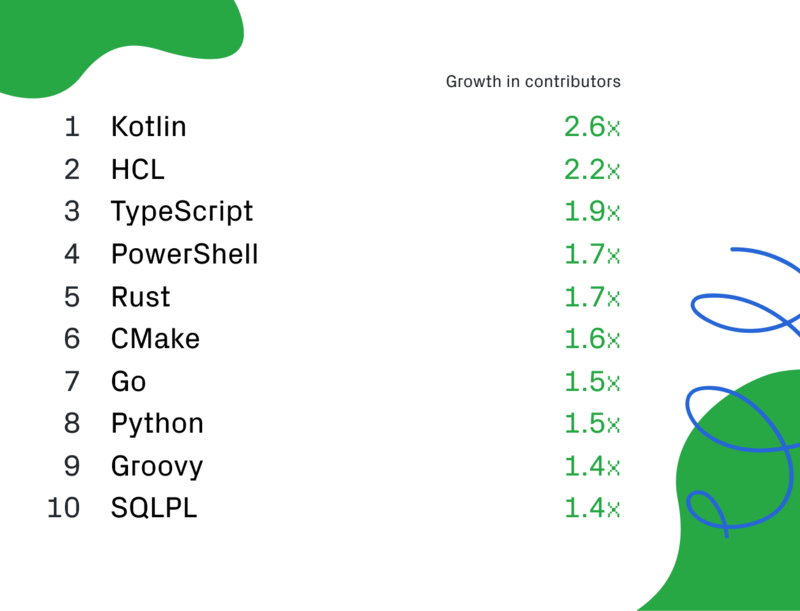 Similarly, Go, which has been on our lists for larger organizations, continues to grow across repository type: it’s #9 this year for open source repositories, too. 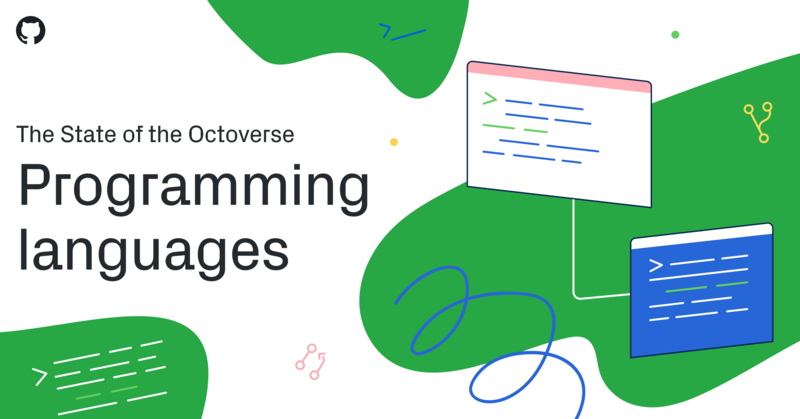 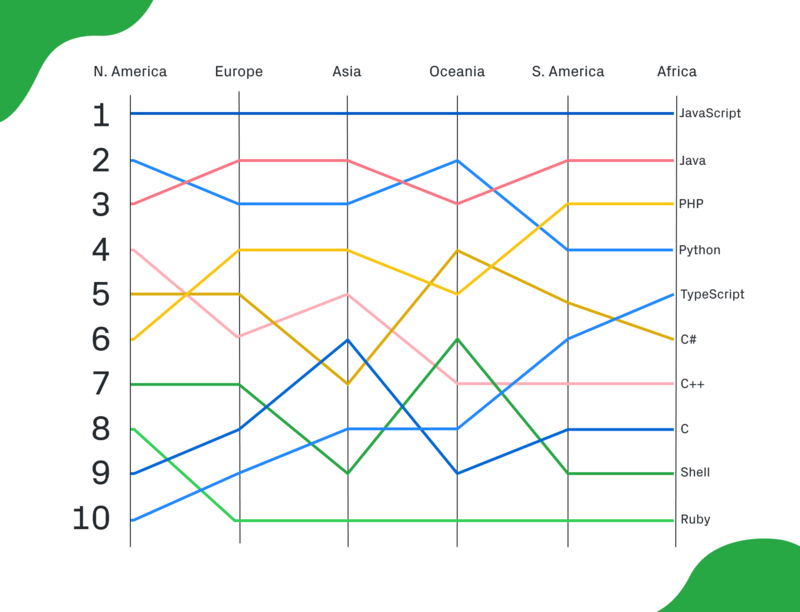 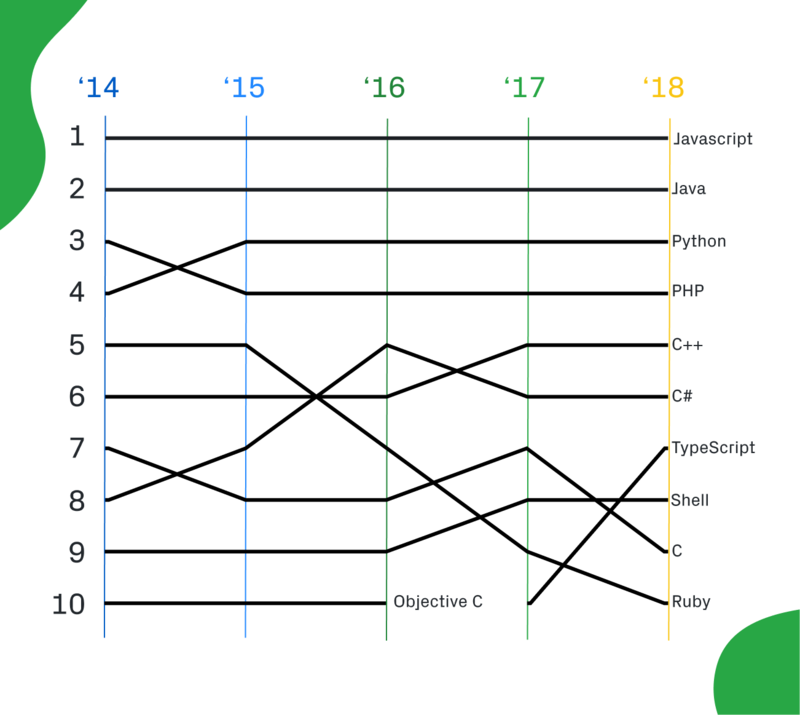 We’re also seeing trends toward more statically-typed languages focused on thread safety and interoperability: Kotlin, TypeScript, and Rust are growing fast.